I became wary of restaurant reservations when I got laughed at over a year ago for seriously asking two colleagues if we should get a table reserved at Le Ching before going there. In my defense, I've never been to Le Ching. Plus, the tea house's name painted such a fabulous high-end place in my head, and I couldn't imagine one of my colleagues eating anywhere that's not so. I even googled the place to be sure they had a phone number for reservations, and they had a couple. Good thing no one answered when I tried them both. 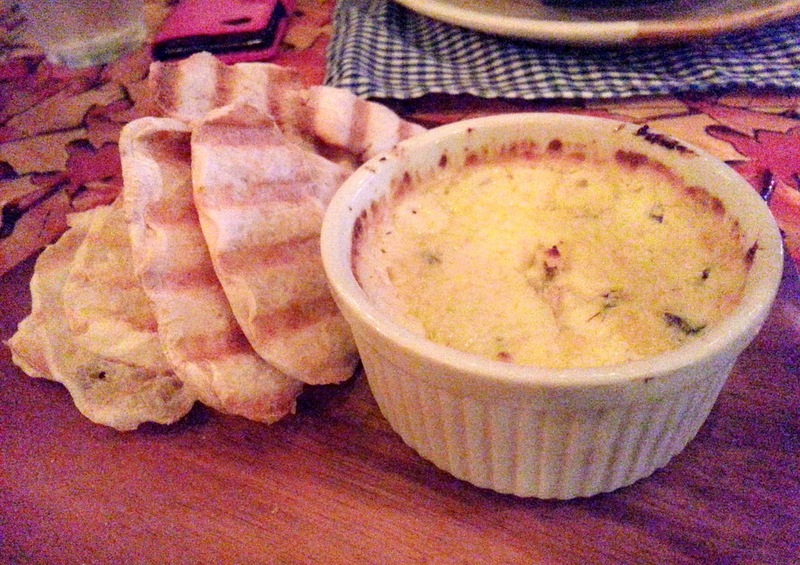 When I and a good friend at work found out about Citibank's credit card promo at Rustic Mornings by Isabelo in Marikina (once again, this is NOT a paid Citi endorsement), we decided we had to take advantage of it with the close group of friends we always eat out with. There are two promos: 50% off their Friday Brunch Buffet and 50% off their Citi Exclusive Weekday Dinner Group Set Meals. The buffet was a no-go, obviously because we have work, so it had to be the latter. 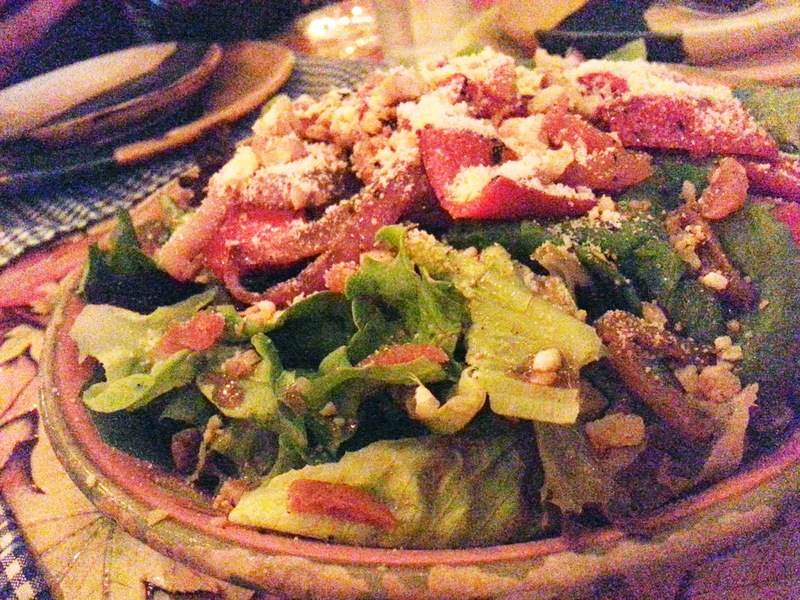 When I called to get a table reserved, though, I was referred to their website, and since going online seemed like too daunting a method to make a reservation when I was already talking to someone over the phone, I postponed the task until we decided last Thursday that it was that same day we were going to have dinner there. Another awkward reservation situation, thanks to my impulsive friends. 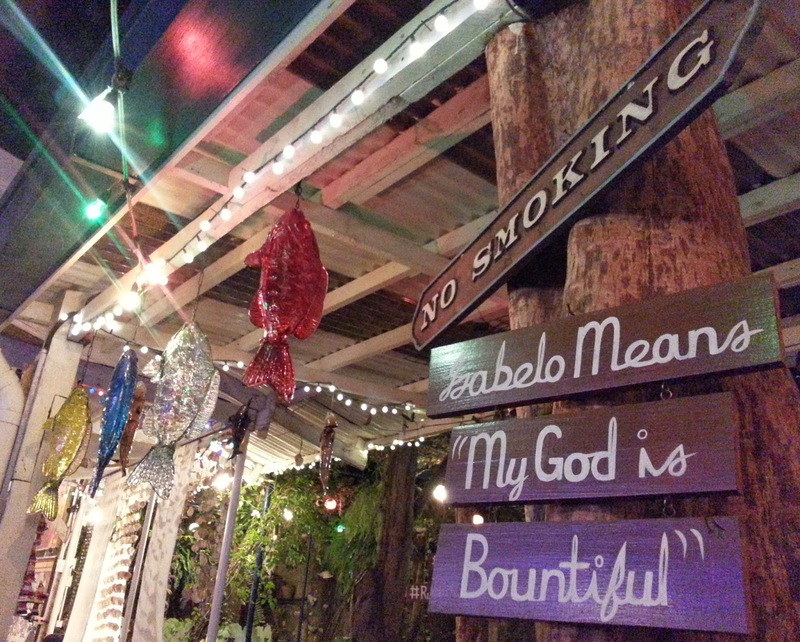 The restaurant, I discovered, is Rustic Mornings from 8 AM to 4 PM and Isabelo Garden Restaurant from 6 PM onward. They accept walk-ins during the day but holds a strict reservation-only policy at night. For the Citibank promo, however, everything is reservation-only, and it was lucky for us we were accommodated even if we reserved the morning of the same day we were having dinner. We had originally opted for the set meal for 5, but to maximize the promo, I replied to the email confirmation that I'm inviting a few more friends and getting the set meal for 10, for which we would have to pay only P3,000. I thought that even if there were just seven of us, it'd still be a steal at P429 per head, with each of us enjoying extra helpings. The set meal for 10 had four-hour roasted pork crackling in it, however, and the lady who called me back to confirm our reservation just a tad bit sarcastically pointed out how that dish will obviously take time to prepare and the reason she accommodated our short-notice reservation was one set meal for 5 is an order that could be easily squeezed in. When we arrived at Isabelo, there were barely any cars parked, and hardly any diners too. 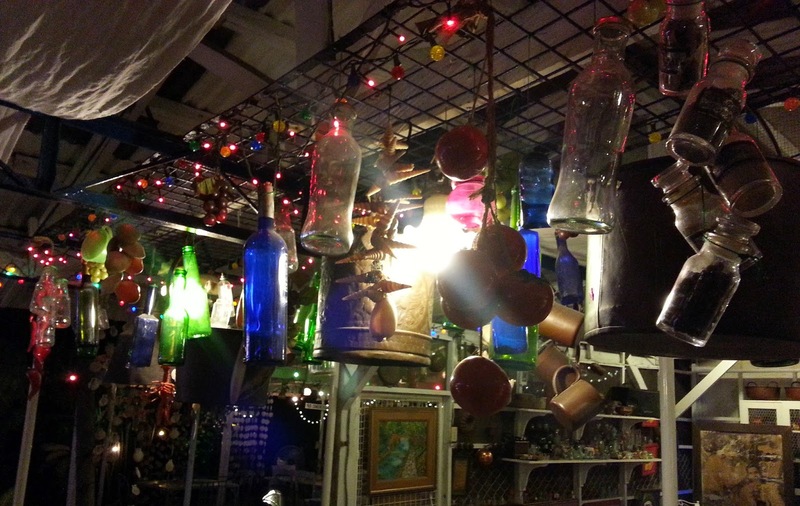 The ambience was exactly as their website described it—"a cozy, 'feels-like-home' garden restaurant"—with the decor consisting of mismatched chairs in some areas, oil paintings, kitchen articles, dangling capiz shells, colored bottles and glass sparkling under fairy lights, and an assortment of other curios, some of which are from the restaurant owner's antique family collection itself. Maintenance is probably an ordeal, but I suspect a thin layer of dust forming over everything that the place is festooned with will only make the place more charming. 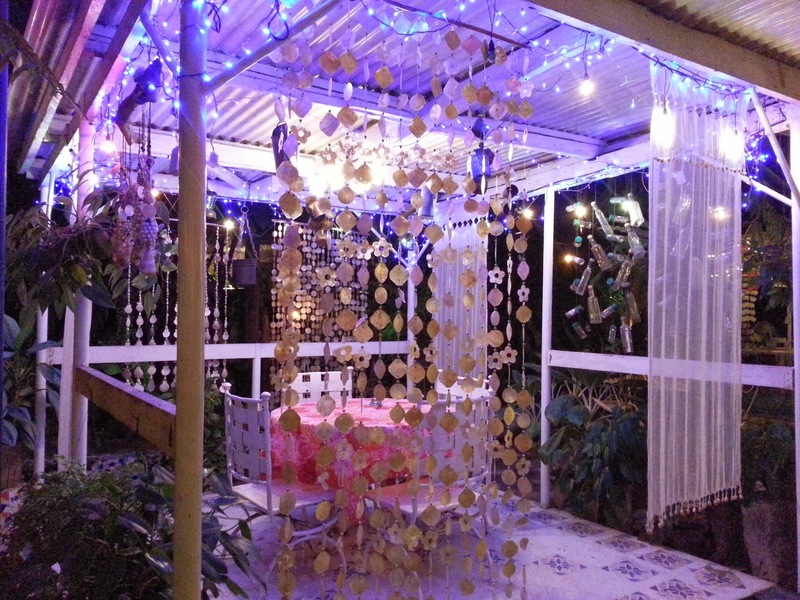 Like you were simply dining at your lola's house and all that you saw around made you feel at home. We were seated just a little further from the entrance, near a table that would probably be perfect for a romantic dinner...if you and your date didn't mind being too well-illuminated. 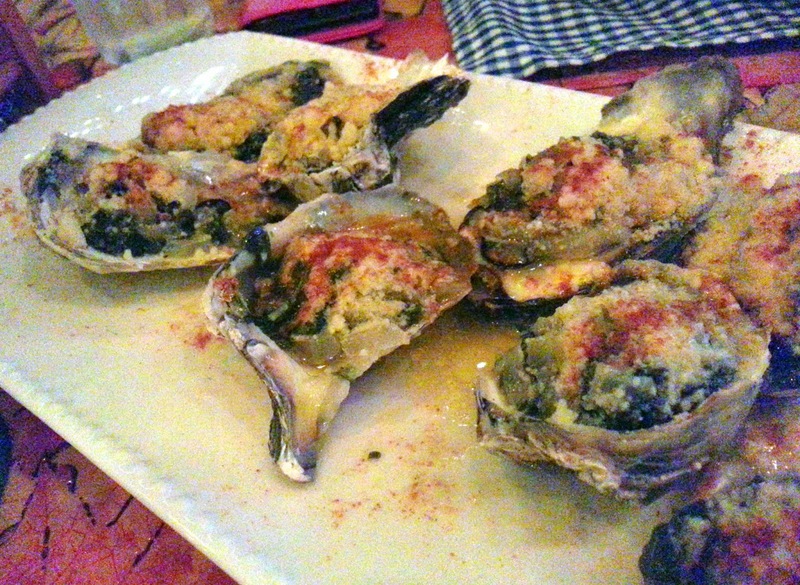 Ours, on the other hand, was a bit dim, which was okay but made for really bad close-up photos. 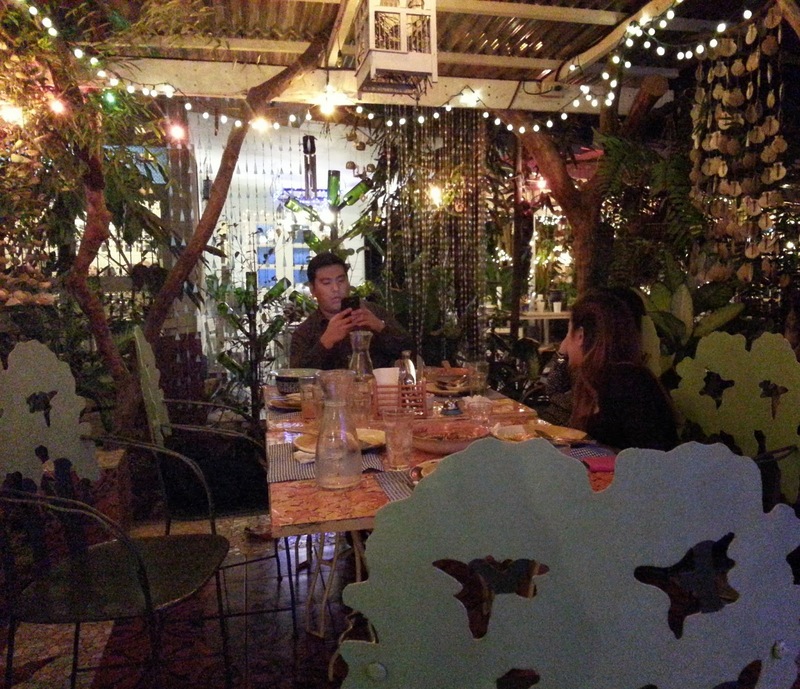 The dining area, including the tables out in the garden, is non-smoking, which I appreciated. You enjoy good food better when there's no cigarette smoke competing with its smell. I had hoped the food will arrive immediately because I thought that was what their strict reservation-only policy was for, but since we came in thirty minutes late I suppose they had to reheat the food. Between all the jokes and the stories my friends and I shared, however, there really wasn't much waiting to be done. The set meal for 5 is composed of toasted bread and spinach dip, greens with roasted vegetables, baked oysters, slow-cooked beef ribs with bleu cheese dressing, lemon parslied garlic rice and a pitcher of iced tea, but because there were six of us we ordered quattro formagio pizza, which was easily prepared even though we didn't order it in advance. 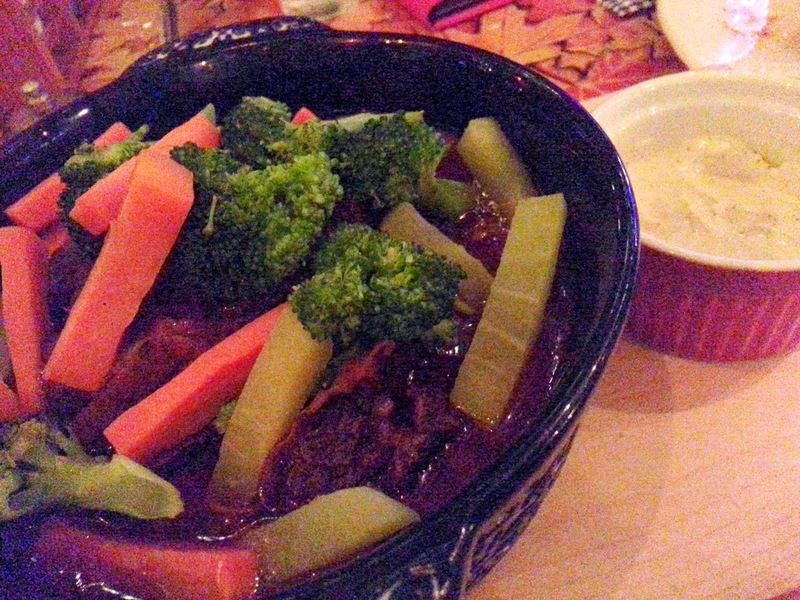 Beef ribs, which may look like a salad because of the veggies, but the beef, tender and cooked kaldereta-like, is there. The bleu cheese dressing makes it taste better. 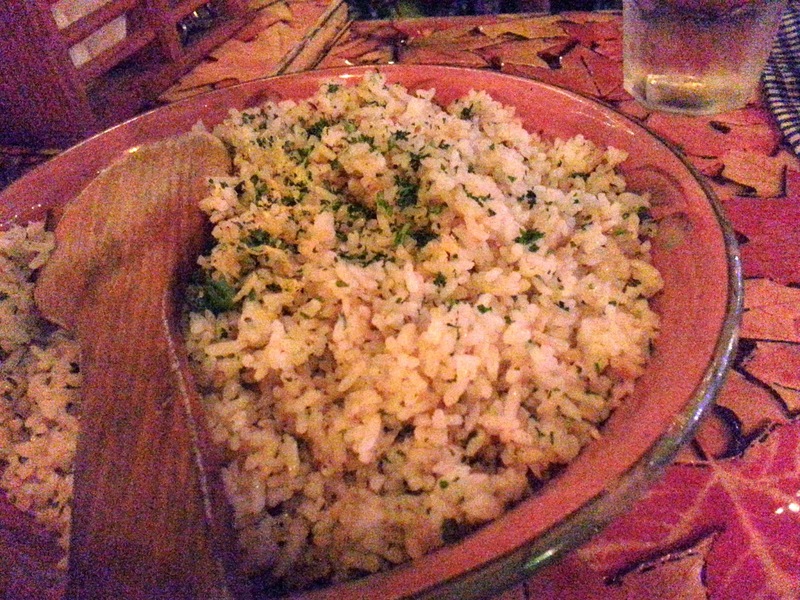 Lemon parslied garlic rice, which I still think wouldn't have been enough even if there were just five of us. Reservations, whether for the promo or not, require a consumable security deposit of P1,000 and an additional handling fee of P50.53, paid online. 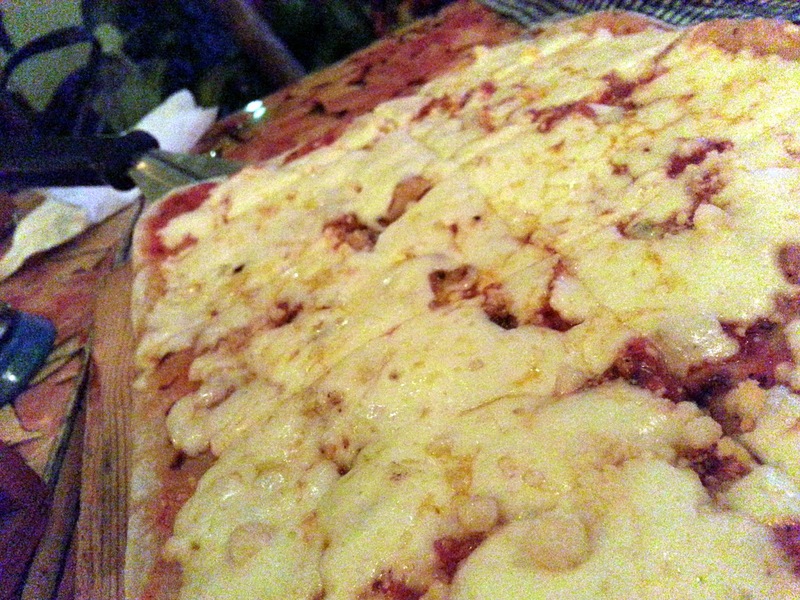 Our bill reached a little over P1,900, so they only had to charge us the P900-something at the resto. The waiter told us, however, that they only allow credit card transactions of at least P1,000, but he eventually processed the payment anyway after I had countered that we can't possibly pay cash because we were availing the Citibank credit card promo, and that would mean all other customers availing themselves of the set meal for 5 thing would actually be obligated to order extra so their bill would reach P2,000. Besides, we had technically paid them P1,000 already, online. That was my only beef with the place. That and how they still charged us for the extra bread we ordered after we had asked the waiter if that was free and he had clearly said it was. The food was fantastic, with the set meal reasonably priced at P1,500 if availed with Citibank's 50% off promo, which runs until March 31, 2014. If you can, try to invite more people and order the set meal for 10 or 15 to maximize the promo. Don't bother calling them to reserve if it's the dinner promo you're getting because they'll just refer you to their website. 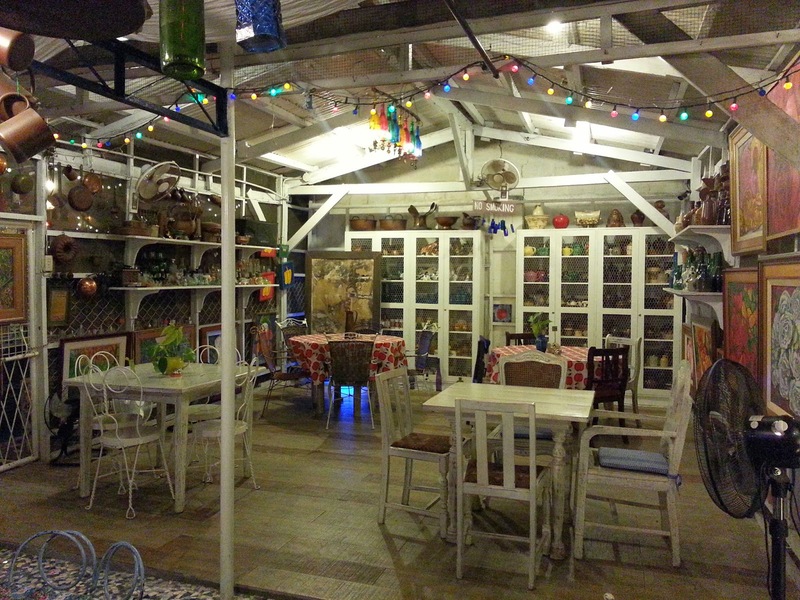 They're located at #11 Isabelo Mendoza St., San Roque, Marikina City and their websites are rusticmornings.com and isabelogarden.com.